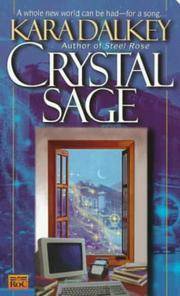 Science Fiction & Fantasy From Second Hand Prose, Inc.
< Back to Second Hand Prose, Inc.
Browse all Science Fiction & Fantasy from Second Hand Prose, Inc.
All new arrivals from Second Hand Prose, Inc.
New York: Dell Rey / Ballantine, 1997. 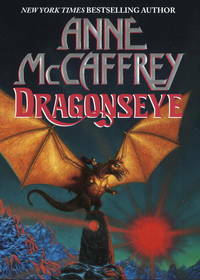 A Dragon Riders of Pern novel. 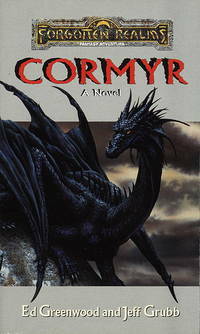 First edition, February 1997. first printing. Hardcover, price intact dust jacket. 353 pages. Clean unmarked interior. Solid hinges. ** Flaws: book spine edges pushed. Else Very Good / Very Good+ dust jacket. First Edition. Hardcover. Very Good/Very Good+. Illus. by Eric Peterson. 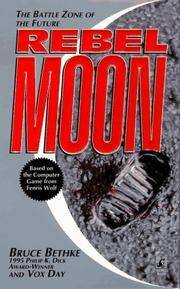 New York: Baen, 1992. Summoned to Tourney - an Urban Fantasy. A Baen Books original, pbo. First printing, June 1992. Paperback, size about 4x7 inches. Cover art by Larry Dixon. 298 pages. Clean interior. ** flaws: one light vertical spine crease line. Light edge and corner wear. Else Very Good. First Edition. Soft Cover. Very Good. Illus. by Larry Dixon. New York: Ace, 1980. Paperback, size about 4x7 inches. First Ace printing: March, 1980. complete number line. The Hugo-winning novel of destiny and revenge between the stars. 313 pages. ** flaws: light edge and corner wear. Two wrinkle marks on spine, each about 1 inch long. One page is dog-earred. Pages yellowing. Else VG. First Edition. Soft Cover. Very Good. New York: Daw, 1993. An Anthology of Heroic Fantasy. Edited by Marion Zimmer Bradley. Daw Book Collectors No. 917. paperback, size about 4x7 inches. first printing. Cover art by David Cherry. 285 pages. ISBN 0886775523. ** flaws: one page corner dog-earred. Cover has light edge and corner wear. VG+. First Edition. Soft Cover. Very Good+. Illus. by David Cherry. Clarkston GA: White Wolf, 1996. 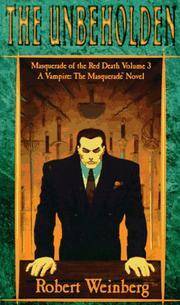 Masquerade of the Red Death trilogy: volume 3 - The Unbeholden. The Red Death is the leader of the cult of vampires know as the Order of Dreadful Night. Paperback, size about 4x7 inches. No statement of edition. Cover art by Brom. 373 pages + an unpaginated excerpt of the Ebon Mask - A Wraith: the Oblivion novel by Richard Lee Byers. Clean interior, NO creases. The only obvious book flaw is (1) very teeny nick on lower edge. Else Near Fine. Soft Cover. Near Fine. Illus. by Brom. New York: Daw, 1998. Jacket art by Michael Whelan. 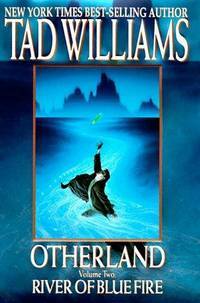 First edition, first printing, July 1998. Complete number line. Hardcover, price intact dust jacket. 634 pages. Clean interior. VG+ / VG+ dust jacket. First Edition. Hardcover. Very Good+/Very Good+. Illus. by Michael Whelan. Toronto, New York, London, Sydney and Auckland: Bantam, 1985. Published simultaneously in the United States and Canada. First Edition, first printing. Hardcover, price intact dust jacket. Floral illustrations on dust jacket by Yee Chea Lin. [xii] 483pp. Clean pages, solid hinges. ** FLAWS: the inner side of dust jacket has blue color bleed transferred from cloth binding at spine ends. Dust jacket has edgewear, 2 short creased tears, a few tiny chips. VG / Good+ dust jacket. First Edition. Hardcover. Very Good/Good+. Illus. by Yee Chea Lin. Renton WA: Wizards of the Coast, 1999. Novel. Paperback, size about 4x7 inches. 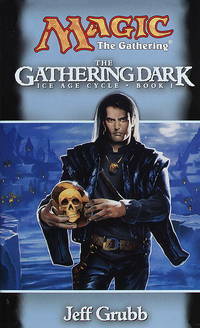 Magic the Gathering: Ice Age Cycle Book One . ISBN0786913576 . Cover art by Gary Riddell printed on copyright page, should be Gary Ruddell. 342 pages + ads. Near Fine. First Edition. Soft Cover. Near Fine. Illus. by Gary Riddell (Gary Ruddell). Renton WA: Wizards of the Coast, 2003. 3 paperbacks, size about 4x7 inches. All 3 volumes of the Mirrodin Cycle (the complete set). All three books are First editions, First printings. The Moons of Mirrodin, Book One, 2003. ISBN 0786929952. Cover art by Brom. The Darksteel Eye, Book Two, 2004. ISBN 078693140X. Cover art by Brom. The Fifth Dawn, Book Three, 2004. ISBN 0786932058. Cover art by Jim Murray. All books are in Near Fine condition.. First Edition. Soft Cover. Near Fine. Illus. by Brom; Jim Murray. New York: Ballantine, 1991. Book Five of the Malloreon. Jacket art by Edwin Herder. (2 horsemen in armour) First Edition May 1991. Complete number line. Date on jacket flap is 5/91. Hardcover, price intact dust jacket. 400 pages. Clean interior. Very Good / Very Good dust jacket. New York: Ballantine, 1969. Adult Fantasy by James Branch Cabell. Ballantine Books 01678. Paperback, size about 4x7 inches. wrap around cover art by Bob Pepper. Introduction by Lin Carter. Text illustrations in b/w by Frank C. Pape. 284pp + 4 unpaginated pages with ads. FLAWS: front cover has creased corner and very light hinge crease. Several beginning pages have bumped lower corner tips, Else Very Good.. First Edition. Soft Cover. Very Good. Illus. by Frank C. Pape. New York: Carroll & Graf, 1988. Second Printing 1988. Carroll & Graf. Reprint. ISBN 088184408X. 186pp + 2pp ads. Crease on rear cover at lower corner. Else Very Good. New York: Ballantine Books, 1976. small water stain on margin at top edge on a few pages. Cover has a tiny cut on top edge. Paperback, size about 4x7 inches. Ballantine 25118. Second Printing August 1976. ISBN 345251180. 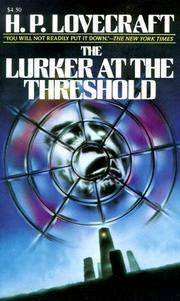 Cover art by Murray Tinkelman. 127pp. VG+. New York: Ballantine Books, 1974. Paperback, size about 4x7 inches. Ballantine 23963. Book one in a new series bringing back Eric John Stark. Cover art by Steranko. 186pp. Paperback Original, First printing May 1974. ISBN 0345239636 ** flaws: a few white paint spatters on top block. light hinge creases on front and rear covers. Light edge and corner wear. Very Good. First Edition. Soft Cover. Very Good. Illus. by Steranko. New York: Ballantine Books, 1974. Paperback, size about 4x7 inches. First printing October 1974. 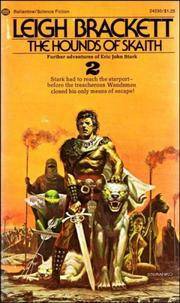 Cover art by Steranko, book 2 in this Eric John Stark series. 183 pages. NO spine creases. ** Flaws: a number stamped on top and bottom block edge. Minor rubbing on rear corner, minor edge and corner wear. VG+. First Edition. Soft Cover. Very Good/Very Good. Illus. by Steranko.